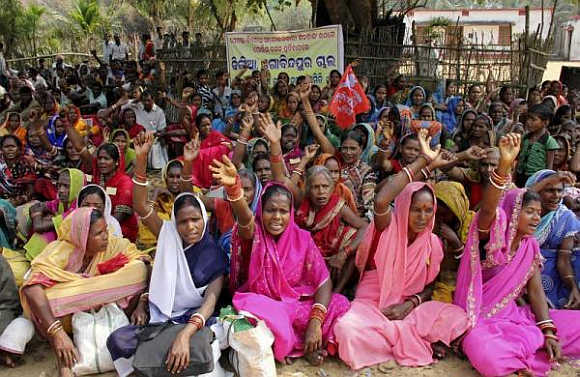 Billed as India's biggest foreign direct investment, the Rs 52,000 crore ($12 billion) Posco project in Orissa has been delayed by more than seven years due to protests by farmers who are agitating against giving up their fertile agricultural land. Many have faced the wrath of the police, got injured and killed in protests over the years. Local activists say villagers cannot be allowed to be refugees in their own land. Posco signed a memorandum of understanding in June 2005 with the state government of Orissa to construct a $12 billion steel plant. Various regulatory delays and controversies prevented the company from starting construction. The memorandum expired in June 2011, and as of April 2012, it has not been renewed. 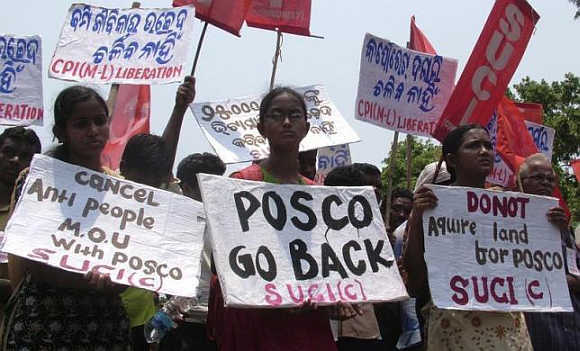 Let's take a look at the protests against the Posco steel plant in Orissa. 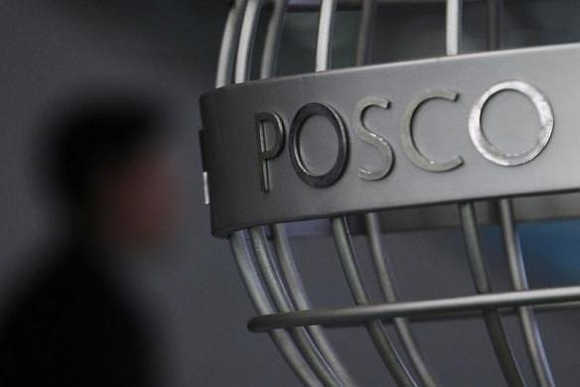 Image: A man walks past a Posco logo at the company's headquarters in Seoul, South Korea. 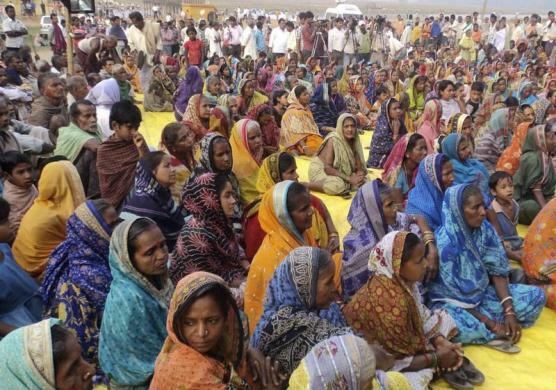 Villagers attend a protest at Balitutha village, about 120km from Bhubaneswar, Orissa. Villagers and their children lie at the proposed site of a $12 billion steel plant by South Korea's Posco during a protest in Orissa. Thousands of villagers protested, as women and children were used as human shields in the latest outbreak of local anger that has long-delayed India's biggest foreign investment project. Villagers hold placards during a protest in Orissa. An activist from the Socialist Unity Centre of India burns an effigy of Orissa Chief Minister Naveen Patnaik as others shout slogans during a protest in Kolkata. 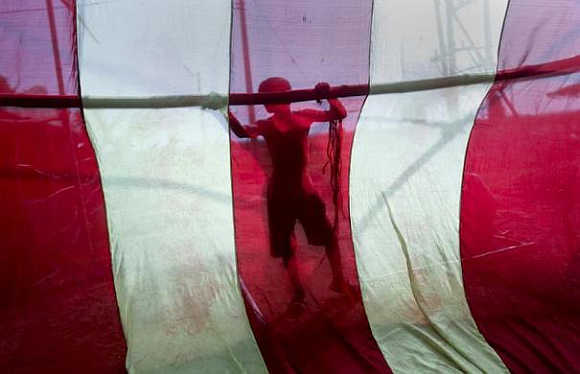 A man is seen silhouetted through fabric as he constructs a temporary shelter at a transit camp for villagers who have been displaced in Jagatsinghpur district, about 75km east of Orissa's capital Bhubaneswar. 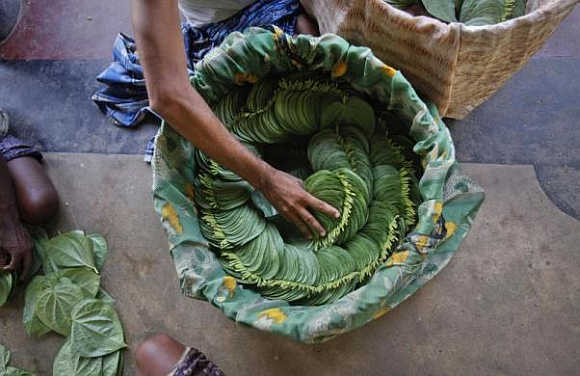 A farmer arranges betel leaves in a basket in Gobindpur village, about 75km east of Orissa's capital Bhubaneswar. 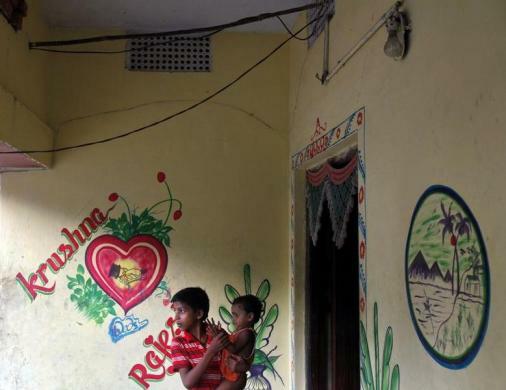 Villagers sit at the entrance to a house in Gobindpur village, about 75km east of Orissa's capital Bhubaneswar. 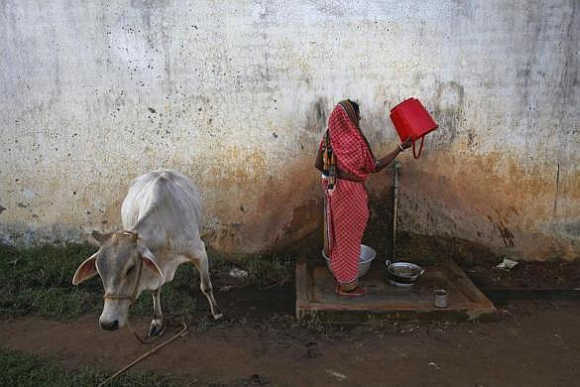 A woman empties a bucket at a transit camp for villagers who have been displaced in Jagatsinghpur district, about 75km east of Orissa's capital Bhubaneswar. Children gather at the entrance of their thatched hut in Gobindpur village, about 75km east of Orissa's capital Bhubaneswar. Gobindpur is one of several villages from which people will have to be relocated for the plant. 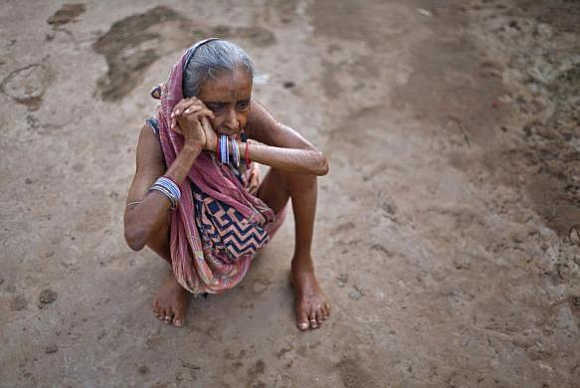 A woman sits on the ground at a transit camp for villagers who have been displaced in Jagatsinghpur district, about 75km east of Orissa's state capital Bhubaneswar. 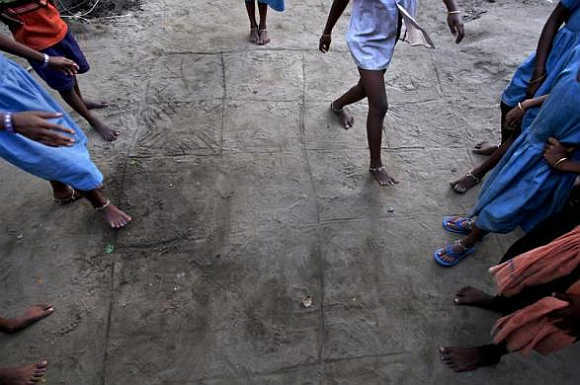 Children play a game of hopskotch on a grid drawn into the dirt in Gobindpur village, about 75km east of Orissa's state capital Bhubaneswar. A boy carries his baby brother in his arms at the entrance to their house in Gobindpur village, about 75km east of Bhubaneswar. 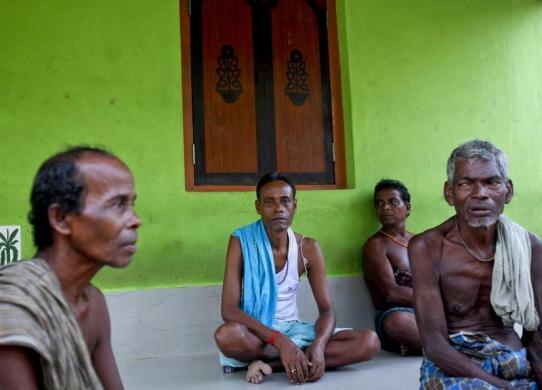 Farmers accuse the Orissa state government of being in cahoots with big business to trick them out of land their families have held for generations. 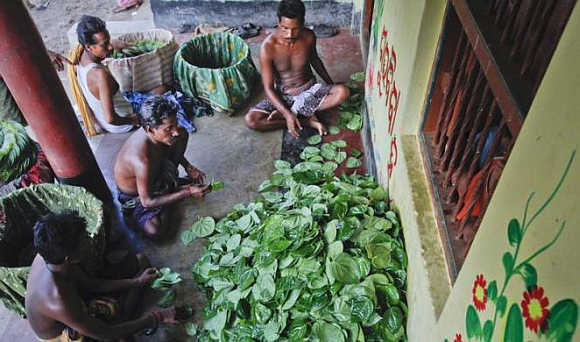 Farmers sort and arrange betel leaves on the doorstep of a house in Gobindpur village, about 75km east of Orissa's state capital Bhubaneswar. Villagers take a nap on a cycle rickshaw near the main entrance for Posco India project area at Kujanga block in Jagatsingpur district in Odisha. Demonstrators shout slogans as they hold placards during a protest against land acquisition inside Odisha Bhawan (house) in New Delhi. 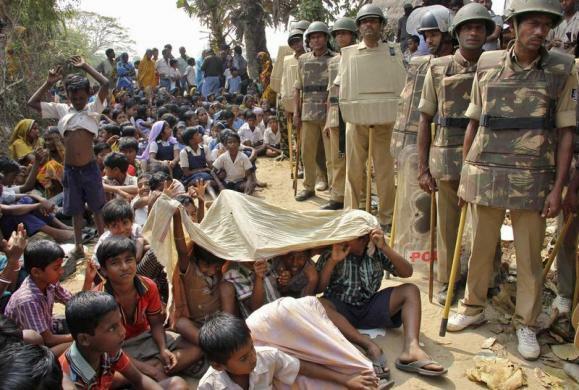 Police stand guard as children attend a protest against land acquisition at Gobindpur village in Jagatsinghpur district in Odisha. 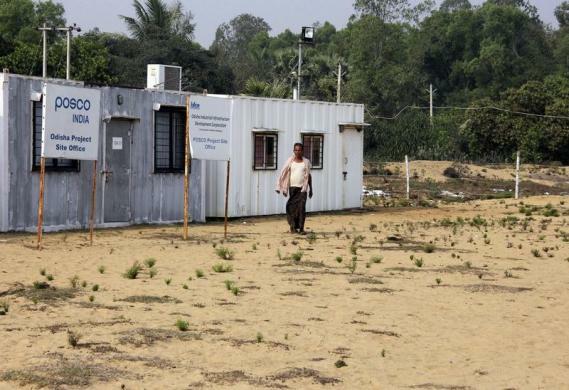 A villager walks at the Posco India Odisha Project site office at Gobindpur village in Jagatsinghpur district, in Orissa. A few weather-beaten shipping containers, a swathe of sand and a bitterly divided village: that is all South Korea's Posco has to show seven years after it announced plans for a $12 billion steel mill on a fertile strip of India's east coast. Despite the years of protests and battles over environmental clearances, Posco insists it is not about to throw in the towel. 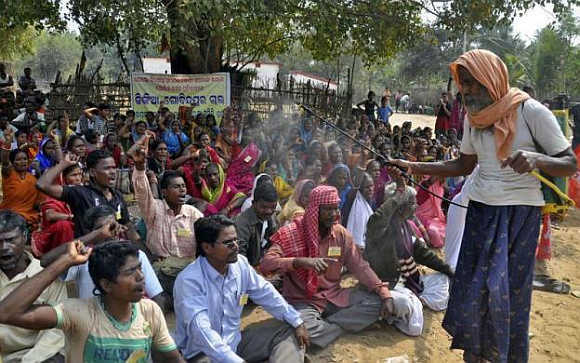 A man sprinkles water on demonstrators to help them cool off as they shout slogans during a protest against land acquisition at Gobindpur village in Jagatsinghpur district in Orissa. Demonstrators shout slogans during a protest against land acquisition at Gobindpur village in Jagatsinghpur district in Orissa. 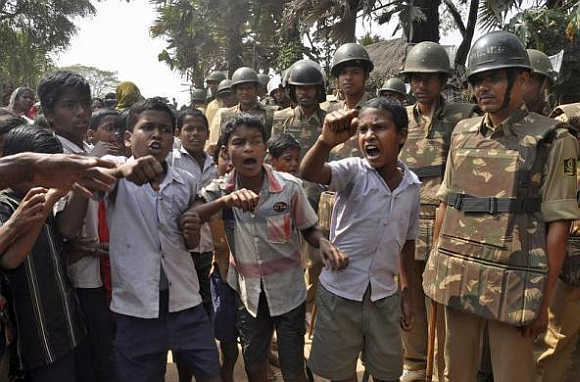 Children shout slogans as police stand guard during a protest against land acquisition at Gobindpur village in Jagatsinghpur district in Orissa. 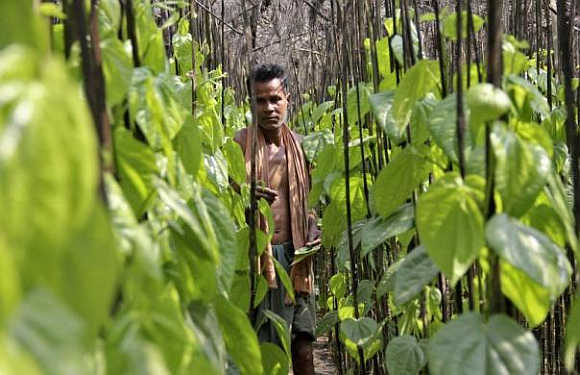 A farmer collects betel leaves near Posco India's Odisha Project site at Gobindpur village in Jagatsinghpur district in Orissa.